The program is designed to provide outreach to victims of crime by offering information, support, referral and advocacy by volunteer victim advocates. The Coordinator provides advocates with information regarding victims to be contacted. Advocates make attempts to contact victims assigned to them within 48 hours by phone, mail or email to offer information, advocacy and referrals related to their case. The advocate interfaces with law enforcement and the criminal justice system to gather information for the victim. Advocates are self-motivated, flexible and work well independently. Patience and determination are beneficial qualities for this position. It is helpful if advocates enjoy problem solving and research. Advocates are open minded and have a non-judgmental attitude towards victims/survivors. The ability to communicate well, think well, and respond quickly are essential qualifications. Genuine concern and empathy for victims of crime and survivors, regardless of the circumstances, are necessary qualities. Applicants must be at least 21-years-old. The advocate makes a one-year commitment to the program, to attend monthly support meetings, and commits to an average of four to six hours of victim outreach per month. 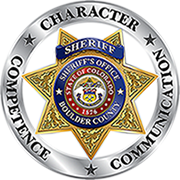 The 40-45 hour training course includes crisis counseling, victimology, legal procedures, law enforcement, resource information, as well as a Ride-Along Program with a law enforcement officer. The advocate must have a phone and computer available for use and be submit to an employment/character background investigation.